This fund was started in November of 2015 by members of the Gene Witzig and Harold Witzig families. The purpose of the fund is to provide annual grants for supporting the purchase of flower boxes, flower beds, flowers and plants; upkeep of flower containers and flower beds; public art; way signing; bike racks; and other types of beautification in the area(s) defined as “Downtown” by the Village of Morton. Article from Morton Newspaper, about the closing of Witzig's store on 12/31/94. 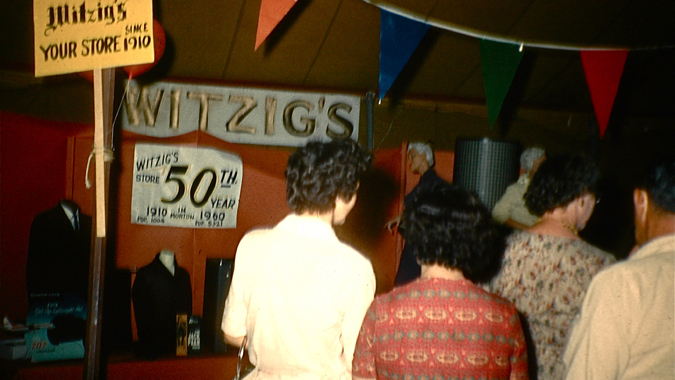 Witzig's clothing store was a Morton Downtown fixture for 84 years, 1910 - 1994. Gene and Harold Witzig were 3rd generation family members in the business. They always had a particular passion for downtown Morton beautification... not only for their own store front, but for the entire downtown business community. The Morton Downtown Beautification Endowment in Memory of Witzig's Store, was established to honor Gene, Harold, their ancestors, and their families for 84 years of service to Morton are residents, and the business community. The fund was established by Witzig family members, with memorials following the deaths of Gene Witzig on October 14, 2015, and his brother and fellow business partner Harold Witzig on Friday, January 15, 2016. This endowment will provide annual grants to be used for supporting the purchase of flower boxes and flower beds and/or flowers and plants; upkeep of flower containers and flower beds; public art; way signing; bike racks; and other types of beautification in the area(s) defined as “Downtown” by the Village of Morton.